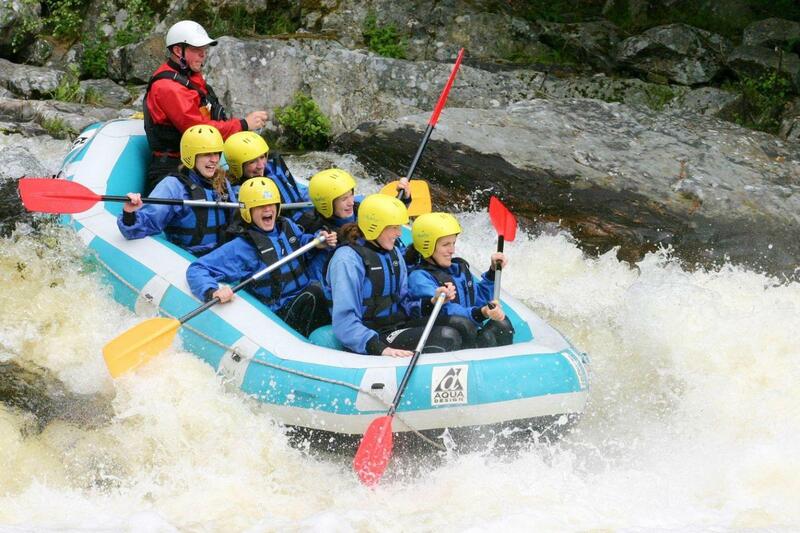 The Tummel white water rafting trip operates weekends through summer. The river is dam controlled. The amount of water is mostly kept to a minimal flow so you can expect grade 3 rapids with a double tier waterfall grade 4 finish. In very rare circumstances because of either dam maintenance or excessive rainfall over an extended period of time, higher water flows are released making the Tummel an exciting fast grade 5 descent. However no one will run the river commercially at those flows. 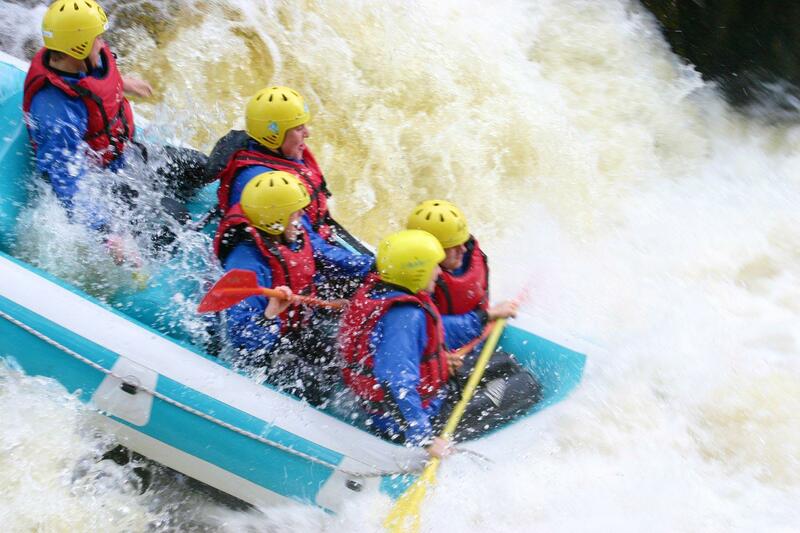 Due to the proximity of Glasgow & Edinburgh the Tummel is a popular white water rafting river in Scotland. it is no small shame from an ecological perspective that the 10 main power stations that make up the Tummel-Garry Hydro Electric Scheme have left the river a mere shadow of its former self. Before the development it would have likely been one of the greatest river journeys in the UK. The section rafted is from the dam above that feeds the Clunie Power Station. In very rare occasions when the dam is releasing high flows it is a solid class 5 section. Because of the value of water used to make electricity the Hydro release the bare minimum on weekends over summer to revitalise the river for salmon to “run” upstream. 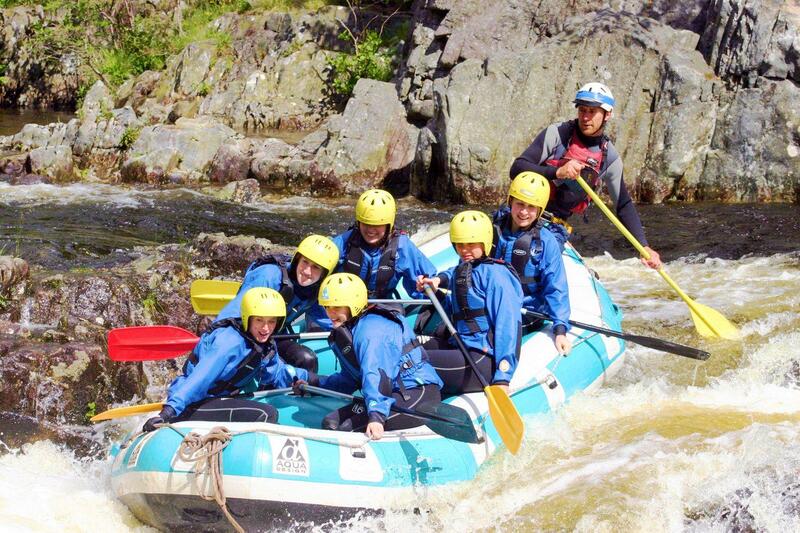 This allows an opportunity for the numerous rafting companies in the area to crowd in on the weekends at the Clunie power station and send a good number of people down the river in short runs that typically last an hour depending on river traffic! 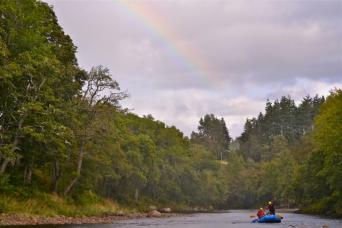 Although the main sections of The Tummel are grade II/III it is a narrow technical river, offering plenty of challenges along the way with rapids such as Zig-Zag and Shark’s Tooth. 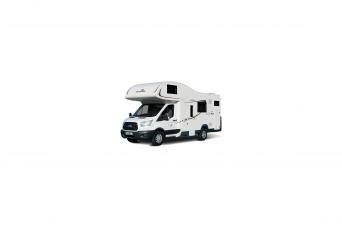 The trip climaxes with an epic 18 foot double drop waterfall called the Linn of Tummel! finishing in the beautiful Loch Faskally which is the confluence of the River Tummel and River Garry.